Employees do not make contributions and suggestions because of the work environment that seems to stifle creativity; and the organizations seems reactive, rather than proactive in responding to issues in the market place and with the competition. 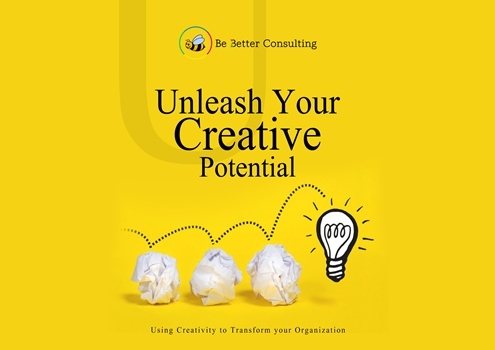 At Be Better Consulting, our Creativity and Innovation Workshop is designed to equip workplace professionals with the skills to enhance their creativity and innovation. Creativity is part of the organizational DNA – everyone is challenged to be creative, everyone applies the skills for creativity, and there is less pressure on the business owner for solving problems. creativity – employees ask questions, seek others’ perspectives, there is collaboration, and a desire to get better. Clients are impacted by the depth that your employees bring to transactions. product leader and pace-setter in its industry. The only real competition is itself! that cause the organization to recoil and ignore opportunities for innovation based on their previous failures. Senior staff appreciate the reality that failure is an integral part of creativity. They apply disciplined innovation practices that allow them to learn from their mistakes and forge ahead. Post Training Support & Engagement Research-driven and Customized Content.